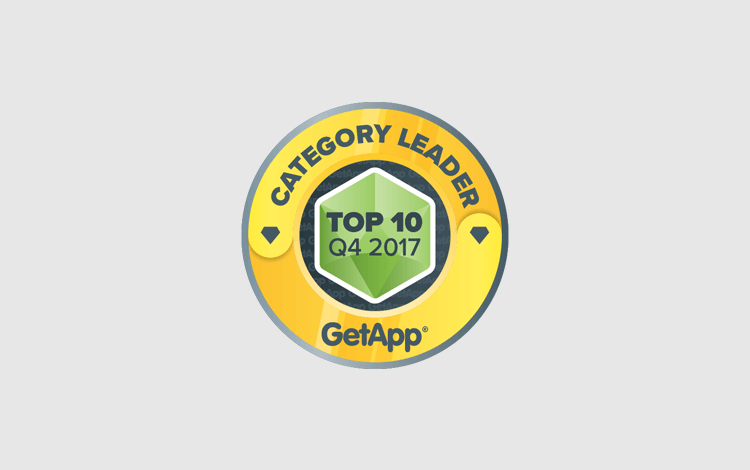 We are excited to announce that GetApp, a leading software repository, has ranked Scoro as a category leader for Business Management Software! From more than 120 business management solutions listed on GetApp, Scoro was named #6 in their quarterly analysis of cloud-based solutions. “Scoro makes its debut in GetApp’s Category Leader ranking for Business Management this quarter, coming in strong at #6 with an impressive total score of 53. Scoro showcases its strengths with a high score of 14 for its mobile offerings, along with 11 points each for its security protocols and reviews, with an average rating of 4.11 out of 5 stars. An additional 10 points for software integrations ensures that Scoro makes a strong debut in GetApp’s ranking of the leading Business Management solutions in the cloud,” says GetApp researcher Suzie Blaszkiewicz. Compared to its competitors Scoro stands out with holistic business and time management features, a comprehensive dashboard and business analytics, and high customisability – making it especially suitable for professional services companies. GetApp’s Category Leader ranking is for business owners and decision makers looking for a comprehensive list of the leading cloud-based software products in the industry. 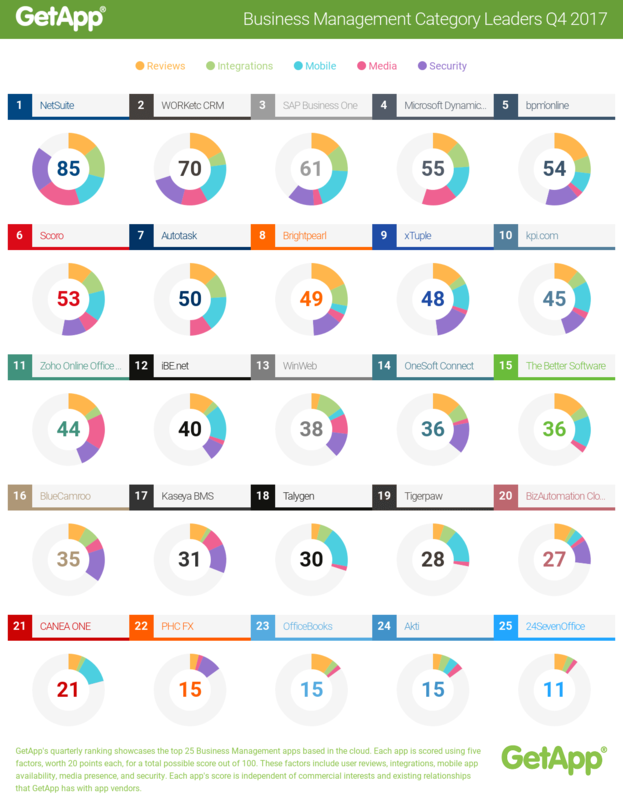 The ranking serves as a point of reference highlighting key factors that small businesses should look at when assessing a piece of software. The chart-topping scores reinforce the key benefit of using Scoro: it’s an end-to-end work management solution that allows companies to control their entire workflow from one place. It helps to streamline work and eliminate routine tasks – and GetApp’s rankings show that Scoro provides the tools users need to ensure a business runs as smoothly and efficiently as possible – from sales right through to billing. We have an extensive list of updates planned for every version update, and Team Scoro is determined to reach chart-topping scores quarter to quarter.